When I was setting up this site, I wondered what the best thing to do was in terms of licensing my work as a freelancer. I’d been hearing about Creative Commons licenses, and liked its open approach to things. 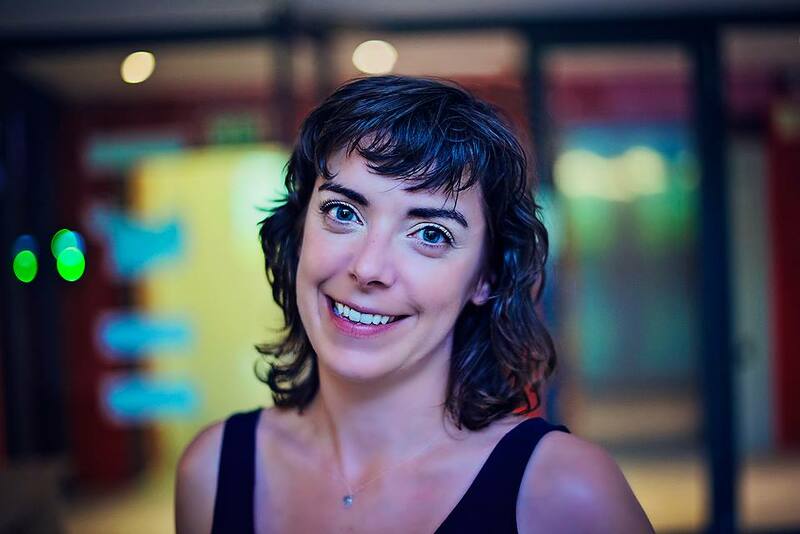 So, to get the lowdown, I sat down with the new Creative Commons co-lead in South Africa, Kelsey Wiens. Here’s what you need to know about Creative Commons and its licenses. What is Creative Commons? Give us the elevator pitch. Kelsey: Creative Commons is a legal license that provides a standard way for creators to grant someone else permission to use their work. Attribution is automatic under the CC licenses, meaning that anything you create using Creative Commons you retain your copyright and allow users to reuse your work. Who should care about it? Kelsey: Everyone. Creative Commons is ultimately about innovation. Science, art, culture are all about remixing others work and building on top of it. Thomas Edison didn’t invent the lightbulb; his first patent was for “improvement in electric lamps” but he did create the first commercially viable one. Academics build their work on the grounding of others. Photographers, artists, videographers, writer all find inspiration somewhere. What do you plan to tackle as co-lead in South Africa? Kelsey: Because of the hard work of the leads that came before me we have a strong base and we just want to capture everyone and build. My co-lead Mark Horner is with Siyavula and he’s been killing it with OER (Open Educational Resources) for a few years now. I’m very lucky to have such a strong pilot. I have a passion for Nelson Mandela’s Archives & the District 6 Museum. These rich pieces of history are too valuable for education and for the nation to lose. What’s already happening in South Africa, and the rest of Africa? Kelsey: South Africa is very lucky that the Shuttleworth Foundation is based here in Cape Town. The Shuttleworth Foundation actively gives to ideas and companies with open business models. Which means that projects like Mark’s Siyavula, P2P University, and LiveSA Magazine all license their content under a CC license. WikiAfrica is also based here in Cape Town: Wikipedia is based on a CC-BY-SA licence and WikiAfrica’s mandate is to allow Africa to tell its story to the world through Wikipedia. In Africa projects like OER Africa provide Open Education tools to learners & educators. JamLab in Kenya is a school for learners in their gap year where they can upskill themselves by using open creative collaboration. Open licenses are essential in Africa in open access publishing: oftentimes research conducted in Africa is written up in expensive European academic journals which makes them unaffordable to most African institutions and libraries. Our research, our needs and we’re being locked out of it? Collaboration remains the key to unlocking open resources. We work closely alongside other open movements including WikiAfrica. Last year we threw our weight behind a campaign, started by high school learners, with the WikiMedia Foundation & WikiAfrica to get cellphone companies to zero-rate or provide access to Wikipedia for free. MTN showed us their love. While not a perfect step, it’s a big one for SA cellphone providers and access to information. Kelsey: Because of the work of previous leads Heather Ford & Andrew Reins — who started iCommons — South Africa is in may ways ahead of the curve. Our challenge isn’t to explain what CC licenses are, our challenge is to further grow the community of open and to work alongside other excellent movements including Open Data, Open Journalism, Open Science. We need to go far, so we have to work together. South Africa is typically not the most open country. Keeping information locked down was a powerful tool during apartheid, and the current government is steadily eating away at information freedoms. Philosophically, what will openness bring us? Kelsey: I’m working with the Western Cape Province & City of Cape Town on their Open Data Policy. It was a need brought from Silicon Cape whose membership was seeing the access and solutions that other governments worldwide were offering and wanted to provide similar solutions. We’re working with CodeforSA to run a weekend session to workshop the policy with members of parliament. Open Knowledge Foundation is running a five-day session on Open Journalism at the end of February in Cape Town in the run up to the election. They say history is written by those who won, well tools like Wikipedia let the whole picture be told by anyone who wants to tell it. I’m a writer. I make my living by being paid for what I write. Why on earth should I give away my livelihood? Kelsey: Creative Commons isn’t about giving away everything for free. It’s about Open Business Models which allow for further amplification of your work. You like TED talks? The reason you can see TED talks is because they are licensed under a CC-BY licence. Prior to opening up their videos TED conferences struggled to get bums into seats (if you can imagine). Now the talks are viral, the speakers demand the videos ASAP and those of us too poor (or lacking in awesome innovation) can’t wait for the videos. It’s about coming up some aspect of your work that you can give away for the gain of amplification. Budding photographer? Give away low-res images for free under CC-BY-NC (see details below on licenses), then sell your high res images side by side. The British National Portrait Gallery saw a 35% increase in profits from people gaining access to the images and then deciding to purchase for use. As a writer you probably blog to increase you web presence. Licensing your work under a CC-BY-SA license would mean that your work could be used by anyone with attribution, and require them to also do the same. Adding to your web presence, increasing your viewership and adding to the Commons. Who loses in this? Best example I can give is Cory Doctorow. He regularly licenses his works under cc, even his books. Download a kinda ugly pdf for free? Or buy the pretty hardback or kindle edition for a small fee? What’s good enough for a New York Times bestselling author should be good enough for you too! Briefly explain the licensing options and why you should choose one over the other. Which one is your favourite? Kelsey: The Creative Commons copyright licenses work alongside “all rights reserved” copyright law. It gives everyone a simple and legal way to grant copyright permissions to works. This is creating a vast and growing digital commons, a pool of content that can be copied, distributed, edited, remixed, and built upon, all within the boundaries of copyright law. CC-BY (Attribution) The most open of all licenses. Simply requires the creator of the work to be credited. CC-BY-SA (Attribution-Share Alike) This license lets others remix, tweak, and build upon your work even for commercial purposes, as long as they credit you and license their new creations under the identical terms. CC-BY-ND (Attribution NoDerivs) This license allows for redistribution, commercial and non-commercial, as long as it is passed along unchanged and in whole, with credit to you. CC BY-NC-SA (Attribution-NonCommercial-ShareAlike) This license lets others remix, tweak, and build upon your work non-commercially, as long as they credit you and license their new creations under the identical terms. CC BY-NC (Attribution-NonCommercial) This license lets others remix, tweak, and build upon your work non-commercially, and although their new works must also acknowledge you and be non-commercial, they don’t have to license their derivative works on the same terms. CC BY-NC (Attribution-NonCommercial) This license is the most restrictive of our six main licenses, only allowing others to download your works and share them with others as long as they credit you, but they can’t change them in any way or use them commercially. My favourite licence is a CC-BY-SA. I feel like it’s a sneaky way of forcing anyone who may take from you for commercial use to also have to share their work. I feel like it evens the playing field and helps expand the commons. This is the license used by Wikipedia, and is recommended for materials that would benefit from incorporating content from Wikipedia and similarly licensed projects. There is a nifty Creative Commons license chooser which can help you make a decision and then give you the html code needed. How can people get in touch, find out more and license their work? Kelsey: Visit za.creativecommons.org, which we’re just in the process of reworking. This entry was posted in Media, My work, Reading list on March 4, 2014 by Vanessa Clark.